Stories make up a large part of our lives. Either based on fact or fiction, our national history and our fairy-tales define situations and reactions to them which have consequences. This subtle fabric of all stories is how they stick in our minds, and the emotional journey of tension and relief in organised steps becomes a subconscious element of our lives. We learn behaviour from stories and we make decisions based on their morals. The rhetoric, or natural bias, of a story is therefore important and will be a large part of whether it is successful in the general public. It has to fit and be cohesive with the consensus of the public, grating on it must be done tactfully and artfully. Roses are more popular than cacti, and they both have thorns. Stories help us develop our empathic responses to situations and to better understand what is happening around us. Especially for children, whose minds are still maturing, the outcomes of stories play a vital role in teaching them how the world will work. Stories are not just found in books, we see them on the television as news articles, drama, cartoons, and documentaries, we get them on the internet in all manner of ways, even advertisements often tell a bit of story, even if just a line or two. Music is often written in a story-land manner, where lyrics describe scenes and characters that are projected through sound. In all stories, we as the audience feel the characters as they go through their situations. So when we design characters, we are not just telling tales. We are creating templates for common thought, so if they don't fit people in general won't want to know about it. There are always exceptions, for example in a horror film where the sadist commits terrible crimes, however a lot of psychology is used in order to create the most scary character possible. It is still related to consensus, only reversed. Making use of the people in our story to do more than fill a role is paramount to a rich and teachable literary piece. Don't we all want our book taught in class-rooms? And not as an example of what not to write. Before you create a character, you need to research your choices. If you want to write about a cowboy then you really need to know about cowboys. If you want to set a book in the United States, you really need to know about America. It will not be legitimate if you don't take your character and their role in the world seriously. For those of you who create fantasy characters, are there similar people in other works you can relate to? If not then write a brilliant back-story, something that you can anchor everything else to. Think about your character in their setting. You need to make sure they fit. So your cowboy will look great in a saloon but if he's in Medieval Scotland it will not make sense. You'll need a steam-powered time machine that can sail the Atlantic. Could be fun. Seriously though, make sure your characters fit the world they live in. If its a fluffy glitzy world then try to avoid disparity, keep it fluffy and glitzy. When you want something clearly as the opponent, don't go too far. They still need to be in suit with the rest of the story. Your character isn't there to look nice. They play a role, and before you write them in you need to know why they're there. What wisdom and tensions can they bring, what are the pros and cons of this character to the story's outcome? How does their presence and actions affect the other characters, and why? All of these things matter a lot to writing fully developed characters. Avoid attachment issues. We all love our art, and we often have an emotional attachment to it. This can be troublesome when we want something to be successful. We need to let go of the quirks and the bits that we love even though they don't fit. This all has to go, plus we can sometimes realise we've been forgetting a vital thing and have to delete and do it all again. We have to be able to do this or the project will fail. Bring them to life. Your characters are not just people in your story, they're real people in a real world. You need to accommodate for this and put real lives into effect. We don't have to travel with them while they do it all, else the book will never end, however the important thing is to give the impression they have a life outside of the main story. Give them jobs, make them in a hurry, allow them to tell someone about their day. Keeping all these hidden elements in mind while we write them in can help with ensuring they don't just hang around until next time we see them. Knowing all this will no-doubt help you to write effective stories that people enjoy reading. It takes a lot of work to write a book and when we do, there is no guarantee it will be accepted. Never give up, change bits if you want to, or simply put it to one side and start again. The only way is up as long as we don't hold onto the past. Keep going, all of you. You know already there is much more to it than that, to get ahead and rise above perhaps this full course in creative writing is for you? It's a famous saying that a journey of a thousand miles begins with one step. But which way do we walk? What direction do we travel in? Where do we want to be in a thousand miles time? Success strategy means knowing the answers to these problems and walking the steps. If we have a goal, an ambition, or a need to change one's situation, then before we set about achieving it, we need to plan ahead. We need to understand the lay of the land and prepare ourselves for a long journey. Just like driving to another city, we have to fill the tank and if we want to make a good impression, clean the car. Everything in life requires thought behind it, we either obey instruction or take responsibility for ourselves. Sometimes we have to do both, depending on the situation. Even if you think you know about your journey already, and you're well on the way to the destination, maybe there's a shorter way, a more efficient stride, a natural understanding and intuition for the walk, that can still be gleaned from this comprehensive and thorough yet by no means complete list of initiatives. Before we do anything, there is always a why. Having a good reason to do something matters a lot. If we don't have one, we will end up giving the impression that we are something we are not. Wanting to look cool with a trendy backdrop is not a good reason, you have to want it for something else. Most of the time it's about love or money. People generally need both to live happy lives. So you want to earn more money, or you want to make more friends, these are great reasons to set a goal and achieve it. Often we are so busy helping others achieve their goals that we forget about our own. Being the helpful and useful sort is wonderful when in a group or team however it's not selfish to do things for yourself either. All worthwhile jobs, opportunities, and social situations require that we work together and have cohesive networks and relationships, so even when looking out for ourselves, we find that if we're working towards something positive, there'll naturally be an element of team playing. Take this blog for example, I spend hours writing it, learning skills to help me deliver better content, and researching items to write about, many hours of practice have gone in behind it as well. It's why I ensure that I include commerce in the website, because like you, I have to spend money to survive. It's why I'm so grateful to those readers who can and do use the commerce. If the reader is unable, then it's free to read for a reason, it's them. Always be on hand to chat and comment, keep phone numbers and send updates from time to time. Be on the look-out for people who stand in a position to help you on your journey. By knowing more people, we have more power over our own destiny. We also have the ability to be helping hands to those around us, and its not only good natured to do so, it's also wise. Becoming indispensable and non-disposable is paramount to maintaining a positive membership in any group, work or play. Really, this is not a game of football. Remember that we're all just trying to pay the bills so put away your claws. You're not here to be the best, be the only one, be the top of the food-chain, the most successful people know how to work with others and take and give opportunities as and when they are able. Making friends with people in your trade puts you in a great position, making friends with the cool person in the social situation is also a good thing. There will naturally be tensions, we all care about our journey and so it also makes sense to not block another's success. While maintaining relationships we know that we must be fair and friendly. It may be productive in the short term to be ruthless however reputations last longer than people do. If you find yourself competing because you're simply doing exactly the same thing, you need to be more creative. Mimicking another person or product is immature at best, insidious at worst. There is no angel. Not for everyone anyway. Just look around you, if you're reading this article, you're one of the wealthy ones who have internet and digital technology. The angels are really busy. You have to get up and do it for yourself, you must be able to tell yourself that you are going to make the journey despite what the past may say about you, despite what fears you have, if you really want it then you have to do it yourself. We all have a comfort zone, and those who achieve more than the rest are the ones who learn how to step outside of it. Of course there is a downside, stress and worry will naturally occur so be considerate towards yourself as well. We don't want to emotionally mutate under pressure that we are putting ourselves under. Step out of the comfort zone then do the work needed to make a success of things before retreating back and taking a break. You'll find a routine and a balance to this. Being brave doesn't have to mean doing the things that terrify you, if abseiling has nothing to do with your goal then don't do it. If taking a course to learn a new skill is daunting, but you really could do with the wisdom, then do it. So a thousand mile walk will always be that length, however we have to push ourselves a bit harder than we normally would to make good time. We only have so many years, and with other responsibilities on the plate as well, our own personal goals in work or play can't be taken all the time. So when we are able to knuckle down and do something productive towards our own goal, then do the best job you can. Do it well and if possible, better than the last time you tried a similar thing. We have to continually improve if we want to reach a destination. The dog ate my homework. Not really, I was listening to music all night. We live in a distracting world, there is a generous and varied menu of media continually available these days. To achieve things, we have to be able to focus on our goals regularly and adequately. There is a sticky trap of feeling that we've done a great job then sitting back for weeks. We have all heard the one about the hare and the tortoise. We all make them. In any walk of life, we take a risk. Is this the right way? Am I doing it right? Do I know what I'm doing? Am I hurting anyone? We can't always know until its too late, so we need to be able to accept our own fallible human nature. Learning from our mistakes and from our failures is the only way we can take a forward step away from it. Don't put yourself down, describe yourself in uncaring ways, don't use negative language about yourself or your work at all. Acknowledge mistakes, sure, even apologise for them, but it doesn't define you. It only defines one act of behaviour out of an uncountable list of other ones. You'd not talk about your friends or your children in negative terms, you'd not tell people that they're anything negative if you cared about them, so why do it for yourself? So many people think it is okay to put themselves down, when it really isn't. We can only go on what you say, and if you say it's no good, or if you point out the reasons to reject something, then of course you'll get nowhere. If you can't honestly do something without mentioning the flaws, you're not ready. Work on it first, iron out the creases. To be true to ourselves, we have to be able to think in ways that suit us. Others will project their perceptions of reality onto us, their perceptions of who we are in their eyes, and if we are not confident then we can easily follow along with them. It's a common trap people fall into, they want to fit in so they adapt their outer self to match that of others. Even when they don't feel it on the inside. It is deceptive and dishonest however it often feels the more comfortable of the two for some. If you want to be a success of yourself, this has to stop. I have heard people in successful jobs say that they've had to sacrifice great parts of themselves to get where they are today. I don't like this approach, and have always considered it best to build on yourself. Don't lose bits, but mature them and add to them with new knowledge and understanding. Never stop learning and never think you know it all. There will always be something you don't know, never assume or presume, it's actually quite rude, and don't take on jobs or roles if you don't know exactly what you're doing. If you do and you're under qualified, you could do more harm than good. One step at a time please. It's been said again and again, and it still needs repeating. You can if you will and you will if you do. Just do it, like the famous sports brand will advise you. Take the journey or you'll never get to the destination. You get to choose exactly what that is. Try your hand at any number of short and medium length courses from top universities, risk free with trial period. Not just a search engine, the company whose motto used to be “Don't Be Evil”, Google offer a wide variety of digital solutions. There are the well known ones that we all use, however their innovative crew are always coming up with other ideas. Rather than trying to compete with the giant, Alternative Fruit understands that to flourish in a diverse ecosystem, we must become a dynamic part of it. We've all seen what magpies do to the kestrel that strays too far from it's territory. So be a magpie, they're much more social yet still have a nasty peck! Music is a big part of what makes us creative, Alternative Fruit reported on the well known benefits recently. Our brains learn subconsciously as well as consciously. Simply by exposing our minds to certain things, we train them to think in particular ways. Music in its nature is creative and inventive, it utilises known rules again and again in ever varying ways. So, anything that helps us be more musical is of course a great thing. These Google music tools are really fun, and helpful too. AI Duet: We love to play with new things, and AI is one of those new things that needs to be understood better by all. 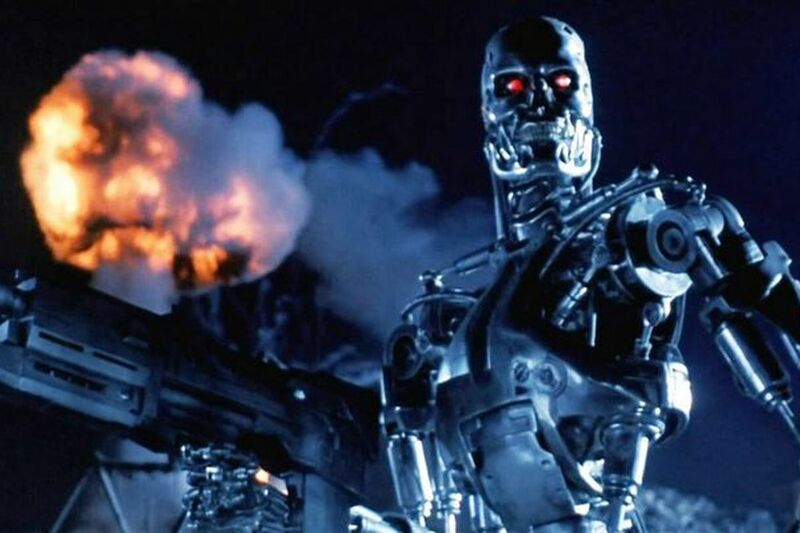 The cat is out of the bag, so everyone who saw Terminator 2 and therefore assumes life will turn out just like the film can queue up for the live version of Idiocracy or actually discover what they're talking about. When we get wise to the way AI works, we can join the dots to a completely different and humanitarian future. If you're interested in AI, and feel like you want to know a bit more, this in your own time short course might be for you. So AI Duet is a way to get to know Artificial Intelligence and the abilities it can offer. It's a really simple program, all we do is click on the on-screen keyboard or use the computer keyboard for which the A row is the white notes and the Q row is the black. The AI then plays along with you, creating a random yet perfectly musical composition to compliment your own. Clever stuff, when you appreciate how it does it. It's not just following a set of rules to the measure, it wrote its own rules based on thousands of individual compositions. It taught itself to play by ear, much like many of us! Mixlab: If you love to be in complete control of your music, then Mixlab will be so satisfying you might just love it. It's a neat little app which can be accessed from the link or you can ask Google to “Let Me Talk To Mixlab”. Once you're in, then the fun begins. You get four tracks of music which will play simultaneously over one another. This is how musicians record songs. You call up various sounds by asking for them. You can ask for guitar or rock guitar, classical guitar, beautiful guitar, and the list goes on. It's not just guitars either, I just happen to like them. Just look at these beautiful guitars. All the major instruments are covered plus a load more. If you want to learn the techniques of mixing music in your own time then try this short course. Groove Pizza: Here we get to design a sound pizza of three layers. It gives us the opportunity to mix beats and affect how they interact with each other. It's got lots of various rhythm styles and controls to give us power to change what it creates. The pizza shows us polygons which represent the sounds visually. By playing with their angles, we see how the other elements shift to compensate. By altering the tempo we can create massive dance-floor rhythms or slow and sensual beats. The swing option is also fun, by adjusting the timing of various sections, we can catch the off-beat or give a sense of lag which can make music sound incredibly interesting. Inside Music: This is a digital representation of a real space with instruments placed within it. We see how their sounds interact with each other and how their positioning affects the ultimate whole sound. By using 3D graphics which produce a virtual reality stage, the different parts show up on the stage and we are somewhere in the middle. Using the 360 camera we can scan the whole area. Semi-Conductor: Here's my favourite, now you can be the conductor of a virtual orchestra. The site reads your conducting and plays the piece in the style you express. It teaches us pretty quickly that there's more to waving a baton around than er..waving a baton around. To become part of the piece and flow as it should requires a complete body immersal in the composition. Chrome Lab: Finally, for now, there is this. Chrome Lab offers users a range of thirteen experiments, each designed to help us understand the principles of music. The elements are Song Maker, Rhythm, Spectrogram, Chords, Sound Waves, Arpeggios, Kandinsky, Melody Maker, Voice Spinner, Harmonics, Piano Roll, Oscillators, and Strings. Each one is geared up to let you in on the world of music through various perspectives. I offer thanks to Control Alt Achieve for reporting on these items. ​Creative and practical, two key features in innovation. It takes a certain degree of loose thinking to be able to bend known rules into something of value. People generally stick to what they know, making use of something they've at least seen before. Innovation is about taking something already out there, changing it just enough, and making the object more valuable for doing so. This requires an ability to see the world in intelligent and methodical ways as well as having the ability to adjust the way we usually look at an object to make it fit for a new purpose. When something is new, we generally have anxiety towards it. Stranger danger reaches deep into us, we can call it approach anxiety or fear of change however the basic fact is that people in general don't like something much unless they know it first. So being completely new is not the best way to innovate, unless it happens to do something absolutely wonderful that is. No, generally the best innovations draw on what we already have. Like the electric tin opener, for example. For a person who opens a lot of tins, it's a wonderful invention. It makes the job of opening tins easy. Think of chefs in catering facilities like hospitals and prisons, where the food is normally in tins and packets. When I worked in the kitchen of a football ground, there were a lot of tins to open. The big catering sized ones. Electric tools make light work of feeding the five thousand. Yet, if an innovation is too much like its previous counterpart, then we don't see why we should change our behaviour. The best innovations do a new job entirely. Look at the laser, for another example. Lasers were originally used in science experiments, they allowed us to study light and to take measurements at incredibly small scales. However, light shows and DVD players were not far behind. Making use of the tool for another job entirely enabled a whole new family tree of technology from one small device. The laser, in all its applications, has changed the world. Only with the right innovation did this happen. Once something has been shown to increase value to society as a whole, and it's doing something we already know about, we generally adapt pretty quickly. We adopt the new technology as if we've always had it, and in one sense for many things, we have. It's just the way it's being used that has changed. OK so the invention of electricity or the microchip pretty much did something new for us, but these were still based on previous technology. Magnets and transistors came first. We like to teach people the facts, school work is usually laden with information about dates, concepts, and formulae. This is good information however the mind is much more creative than that. Innovative thinking requires creative thought. It's been shown in many studies that musical education actually helps our brains develop faster when we're children. So when we stop growing, our minds have been built on great foundations if we've had an education that involves creativity. When we have grown up our minds still develop, we still learn and our brain can change a lot over the years, however when it's growing that's when the most benefit can be found. So it's worth remembering that when we educate children, if we want them to become really great adults, it's important to not forget about creativity. Learning about music and the arts helps people of all ages to think outside their boxes and change the way they look at the world around them. By teaching humanitarian subjects and the arts, we bring out even more of the good side of our nature. Of course, by reading Alternative Fruit, you're already onto a great start!